Seeing as this fullmoon is the THREE YEAR ANNIVERSARY of THE AWAREWOLFS Fullmoon Bikerides, we decided to go big. 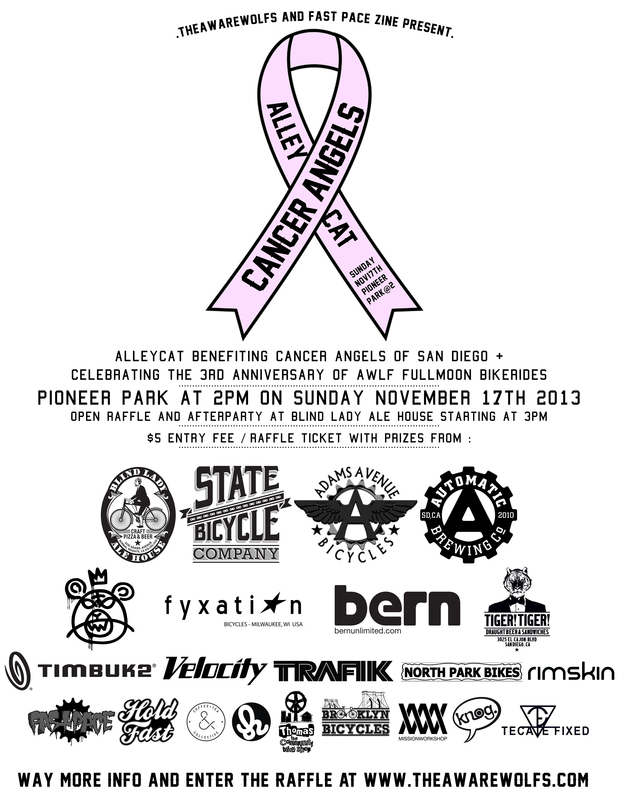 A Cancer Angels of San Diego Benefit Alleycat / Raffle ! Alleycat at 2pm at Pioneer Park ( located : HERE ). $5 entry. No catagories. Product only prizes for 1st, 2nd, and 3rd. The route will be about 15 miles with 6 checkpoints. At these checkpoints you will have a task to complete before you can go on to the next. Once the race leaves, we’ll lead all the spectators on a mellow route over to Blind Lady Ale House for the AFTER PARTY! Its about a 4.5 mile ride and we’ll ride safe and in a group. B.L.A.H. is a really bomb craft beer / restaurant in Normal Heights + its all ages. Now you’re probably thinking to yourself, ‘Damn that’s a lot of sponsors to sponsor a race where only three people win’. Well son, there’s a raffle going on too and all those sponsors have donated product to raffle off while we’re at Blind Lady Ale House having our after party! Tickets are gonna be $5 each and every single penny we get from this raffle is going straight to Cancer Angels. Everyone wins! Last year, we threw a similar event and raised $735. 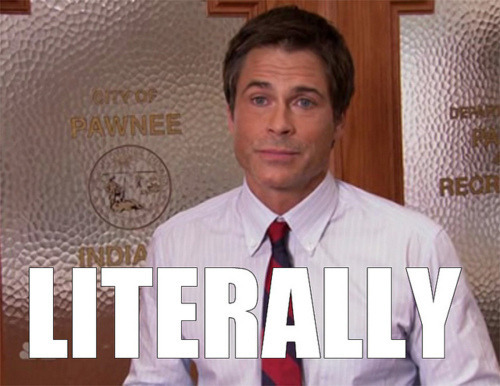 This year we are shootin for $1k. Help us get there?! Oh and if you enter in the race, your entry to the race will count as a BONUS ticket! One person. Online or in person could win the bike cause when an online person buys a ticket, he /she is LITERALLY buying a ticket. We’ll hand write his / her name on however many tickets he / she just bought and put in the thing that we’re gonna draw the ticket out of. Even playing field. Even chances. Domestic or international could win the bike. You could even WIN the race AND the bike if you play your cards right! Or if you’re the kind who deals in cold hard cash, you can pay cash day of. Lets say you won, State Bicycle Co. will ship you whatever size you want in the LaFleur! But if you live in San Diego, State is gonna ship your bike to Adams Ave Bike Shop and Adams Ave will get you all dialed in! 2PM ON SUNDAY NOVEMBER 17TH AT PIONEER PARK FOR AN ALLEYCAT. ENDING AT BLIND LADY ALE HOUSE FOR AN AFTERPARTY / RAFFLE. ENTER THE RAFFLE : HERE : OR YOU CAN PAY CASH DAY OF. TICKETS ARE $5. ALL $ GOES CANCER ANGELS OF SAN DIEGO.